wwwmwww's post a few months ago has inspired me to revisit my lightcycle and tank models again as well. I'm a bit of a perfectionist and would like to reproduce the lightcycles exactly as MAGI made them. I know this may not be totally possible, but maybe someone here can get me a little closer. * The info of 57 primitives is good to know, but does that include the primitives used in the boolean operations to cut the other primitives? * Does anyone know the list of CSG primitives that MAGI/Synthavision had available? * On the bonus disc of the Anniversary release there is a clip that shows some of the actual lightcycle construction and boolean operations happening. Is there possibly a complete version of this video from beginning to end? I really like wwwmwww's models (and the others I have seen here as well), but I would like to make my own just for fun (I'm sure you understand ;-) ), but I also want to be accurate to what MAGI created. How are you going to control the universe if you can't answer a few unsolvable problems? matthew180 Wrote:I'm a bit of a perfectionist and would like to reproduce the lightcycles exactly as MAGI made them. I know this may not be totally possible, but maybe someone here can get me a little closer. and check some of my later threads I've tweeked this model already and I believe I have a more accurate one posted here elsewhere already. matthew180 Wrote:* Does anyone know the list of CSG primitives that MAGI/Synthavision had available? matthew180 Wrote:* On the bonus disc of the Anniversary release there is a clip that shows some of the actual lightcycle construction and boolean operations happening. Is there possibly a complete version of this video from beginning to end? What you see is all that I'm aware of. Dave might be a good person to ask. For a while I've thought about trying to make my own version of that video but that's low on a long list of other things I don't have time to work on at the moment. matthew180 Wrote:I really like wwwmwww's models (and the others I have seen here as well), but I would like to make my own just for fun (I'm sure you understand ;-) ), but I also want to be accurate to what MAGI created. Thanks. I too have had alot of fun making these models so I understand. Have fun and share the images you create. Greetings, matthew180 and welcome to TRON-Sector! You've got light cycle questions? Carl's got answers! That's wwwmwww, who's already responded I see. I'm hoping we get some more light cycle images and in-depth discussion about them. I love the light cycle imagery threads! I may not understand all the math, but I dig all the cool imagery and never get tired of light cycles! Once you start rendering your light cycles (or any other TRON imagery), please submit them via the member upload or just post them in the thread. They'll get archived in your own TRON-Sector fan art section in the image gallery. The forum search did not seem to be working, but I have read back quite a ways and found a lot of your previous posts. Very good stuff!! I was pretty sure a torus was required, glad to see I was right. Unfortunately the software I'm using does not have a torus as a CSG, so I'll have to cheat in that one aspect. I ask them to add it for every new version, but alas, they have not. I've known about POV since the early 90's though, but never had a chance to mess with it. Maybe this will be my motivator! Do you use any modeling programs, or just script everything by hand? The bonus information on the DVD is awesome, so I figured that somewhere more of that footage must exist. I'd love to see the whole thing. I don't know who Dave is, yet, so I hope he will maybe read this thread. A year or so ago, I did try to contact (via email) some of the people listed as having worked on the CG for TRON, but I didn't get very much of a response. Something else I want to do is create some insides of the lightcycles. You get a little glimpse of this when the lightcycles are materializing over the riders. I know most of the geometry was just added for affect, but it adds to the lure and complexity of the lightcycles; gives them more depth IMHO. I have a bunch of questions about the geometry that is hard to discern from the movie, but I'll wait until after I have studied your POV script, since it will obviously tell me everything I need to know. TheReelTodd Wrote:Greetings, matthew180 and welcome to TRON-Sector! Thank you for the welcome. I've been to the site several times in the last few years, but it seems that it has really changed a lot (for the better) since the last time I was here. I'll do my best to add all I can and know about the lightcycles. I was 12 when the movie hit the theaters and it made an ever-lasting impression on me, particularly the lightcycles, tanks, and recognizers (in that order.) I think the CG and animation still holds up today! I love the perfect computer generated look of the whole movie. Modern CG can keep their real-life looking organic charaters and effects, personally I like TRON. It was kind of like the first STAR WARS (episode IV, 1977), dirty and purposful, not all the junk looking CG and bad writing they use today. I'm not sure what "PING in" is, but I'll probably figure it out soon enough. :-) Thanks again! matthew180 Wrote:The forum search did not seem to be working, but I have read back quite a ways and found a lot of your previous posts. Very good stuff!! matthew180 Wrote:I was pretty sure a torus was required, glad to see I was right. Unfortunately the software I'm using does not have a torus as a CSG, so I'll have to cheat in that one aspect. I ask them to add it for every new version, but alas, they have not. Yes... you do need a torus. May I ask what software you are using. Aside from POV-Ray I'm not aware of many ray tracers that still use CSGs. matthew180 Wrote:I've known about POV since the early 90's though, but never had a chance to mess with it. Maybe this will be my motivator! Do you use any modeling programs, or just script everything by hand? I script everything by hand. I like coding and I like having exact control over everything which you don't often get with point and click front ends. And again most of the modeling front ends that are out there are mesh based... I think. If you want to get into POV-Ray I'd certainly encourage you. Its a great programing language and I'm starting to get very tempted to share even more of my code. If there were others out there that could learn from it or use it that would be enough to push me over the edge. matthew180 Wrote:The bonus information on the DVD is awesome, so I figured that somewhere more of that footage must exist. I'd love to see the whole thing. I don't know who Dave is, yet, so I hope he will maybe read this thread. A year or so ago, I did try to contact (via email) some of the people listed as having worked on the CG for TRON, but I didn't get very much of a response. There may very well have been more of that footage at some time. If it still exists... and who may have it... I have no idea. Dave is DaveTRON. He's the most prolific poster in these parts and isn't too hard to find. He probably knows personally half the people you emailed a year ago. matthew180 Wrote:Something else I want to do is create some insides of the lightcycles. You get a little glimpse of this when the lightcycles are materializing over the riders. I know most of the geometry was just added for affect, but it adds to the lure and complexity of the lightcycles; gives them more depth IMHO. However I've dropped all these datails now so I can animate the model. With all these details in place it took far too long to render to even think about animating. In Realsoft CSG's are called "analytics" and have been supported from the first versions. Also very well supported are boolean operations, so it's perfect for recreating a lightcycle. The only CSG they don't have is the torus, so I'll have to make one by sweeping a small circle around a larger circle to create a mesh. wwwmwww Wrote:I script everything by hand. I like coding and I like having exact control over everything which you don't often get with point and click front ends. And again most of the modeling front ends that are out there are mesh based... I think. I compiled POV-Ray on my FreeBSD box a few days ago after your first reply. I started breaking your model down to see the individual parts as you have them. The scripting seems very straight forward, so I'll probably have to start working with it more! ;-) So far playing with POV and your model has been pretty fun! Rear fender (primitive 14): Currently you have it as a cylinder and use POV's "shear" macro to get it to the correct angle. However, I believe it is a cone which can be seen below. There are a few other shots I have where this can be seen clearly as well. But certainly, as you pointed out in a previous post, there seems to be several revisions of the lightcycles and we may never know which one made it as the final version. Rear side cone (primitive 17): A very interesting way to create those, but again they look more like actual "cones" to me, maybe rotated and sunk into the side a little. I'm going to play with those at little and see what I can come up with. wwwmwww Wrote:There may very well have been more of that footage at some time. If it still exists... and who may have it... I have no idea. Dave is DaveTRON. He's the most prolific poster in these parts and isn't too hard to find. He probably knows personally half the people you emailed a year ago. You can do sphere sweeps in POV-Ray too which allows you to create a torus however atleast in POV-Ray if it didn't have the torus primative you could still make one using an isosurface object. With it you can create any shape you can describe with a function. Ok... I'll try to post some of my code for animating the light cycles soon. And I also agree those that do give in and use the "tools" everyone else uses can pump out models FAR faster then I can. I just do this for fun though so I'm never in a very big rush and lately things have taken a back seat to real life. matthew180 Wrote:I compiled POV-Ray on my FreeBSD box a few days ago after your first reply. I started breaking your model down to see the individual parts as you have them. The scripting seems very straight forward, so I'll probably have to start working with it more! ;-) So far playing with POV and your model has been pretty fun! Thanks... I had fun making it and its a pleasure to see others getting some fun from it as well. I'm just going from memory here so I may be thinking about another part but I can only think one place where I used the shear macro and I think that part has to be a cylinder as the diameter is the same at both ends. If you can prove me wrong please feel free. Others have proven me wrong before and I enjoy learning something in the process as well. matthew180 Wrote:Rear side cone (primitive 17): A very interesting way to create those, but again they look more like actual "cones" to me, maybe rotated and sunk into the side a little. I'm going to play with those at little and see what I can come up with. I too wanted to make that shape from a cone initially and I tried rotating and sinking them in as well. Never had much luck but maybe you'll be luckier. An advantage to making them the way I did is that the shape for both sides can be made with 1 primative and not 2. Plus a sphere renders faster then a cone so its a big plus for animating. I didn't want to post them in the forum because they are 1024x768. Whew, making that model took longer than I thought! I think I nailed most of the geometry though. The one thing that is so hard to tell is the rounded canopy shoulders. They look so different in almost every image of a lightcycle. It does not help that all the images from the movie and such are all rendered with perspective, so it is very hard to determine size relationships and placement. I also think there are several versions of the lightcycle with subtle differences. I did end up using 61 primitives though, but probably due to the way my software works. I'm going to see if I can manage to get the primitive count down (was it 54 or 57? ), but it will be tough. There are some interesting facets of the lightcycle that I'd like to share, but I need to prepare the images first, so that will be another post in the near future. I'm also going to start working on the assembly animation. matthew180 Wrote:Whew, making that model took longer than I thought! I think I nailed most of the geometry though. I'd be interested in hearing what shapes you ended up using in the areas where you thought I had it wrong. matthew180 Wrote:The one thing that is so hard to tell is the rounded canopy shoulders. Are you talking about the 2 large tori? What did you use if you couldn't use Tori? matthew180 Wrote:They look so different in almost every image of a lightcycle. It does not help that all the images from the movie and such are all rendered with perspective, so it is very hard to determine size relationships and placement. I also think there are several versions of the lightcycle with subtle differences. I did end up using 61 primitives though, but probably due to the way my software works. I'm going to see if I can manage to get the primitive count down (was it 54 or 57? ), but it will be tough. matthew180 Wrote:There are some interesting facets of the lightcycle that I'd like to share, but I need to prepare the images first, so that will be another post in the near future. I'm also going to start working on the assembly animation. I'm VERY eager to hear your take on the interesting facets of the lightcycle. As much as I've studied the model myself I admit its still fun to learn new things about it. It looks like you have the same basic shape for the front tire that I started with. There was enough evidence presend in the above thread to convince me I was wrong. Cueball's stuff does look nice, especially the lighting and highlights, they are very close to the original!! I'll have to work more with my render settings and materials to try and achieve the same results since most modern software is designed for making photo realistic images. 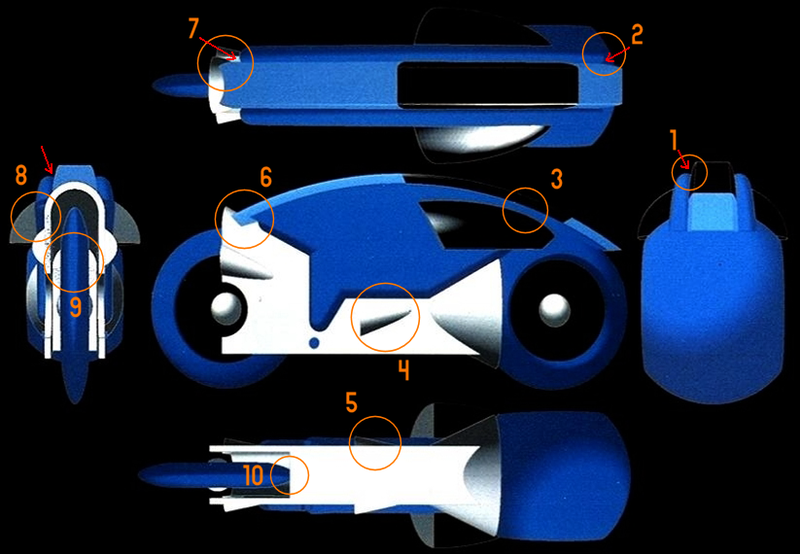 As for the front tire geometry, I know it is correct (one sphere cut with two slightly smaller spheres) since the front tire is one of the parts shown being created in the "Beyond TRON" video that is part of the anniversary DVD. I know the front tire looks very different in many of the clips and images around, almost barrel-like sometimes, but I believe that is just the perspective and camera angle. I'm sticking with what I saw on the DVD as the final the proof of the geometry, unless someone can come up with more solid evidence. Anyway, let me know what you think. I hope to have the assembly animation soon! Nice!!! Are you sure the back wheel is touching the game grid? It looks like its hovering above the game grid by just a small amount. WOW!!! There is enough stuff there to keep me "debating" for days. Give me a while to get some pictures together and I'll try to address each point you've made in your notes. matthew180 Wrote:Cueball's stuff does look nice, especially the lighting and highlights, they are very close to the original!! I'll have to work more with my render settings and materials to try and achieve the same results since most modern software is designed for making photo realistic images. I'm in 100% agreement with you there. I have the same problems/issues with POV-Ray. matthew180 Wrote:As for the front tire geometry, I know it is correct (one sphere cut with two slightly smaller spheres) since the front tire is one of the parts shown being created in the "Beyond TRON" video that is part of the anniversary DVD. Yes, that is correct. What I think you have wrong and what I had wrong initially is the shape of the front hub per your tron_ref page. Go back and do a critical reading of Cueball's thread and I think there is enough evidence there to convince you. matthew180 Wrote:I know the front tire looks very different in many of the clips and images around, almost barrel-like sometimes, but I believe that is just the perspective and camera angle. I'm sticking with what I saw on the DVD as the final the proof of the geometry, unless someone can come up with more solid evidence. 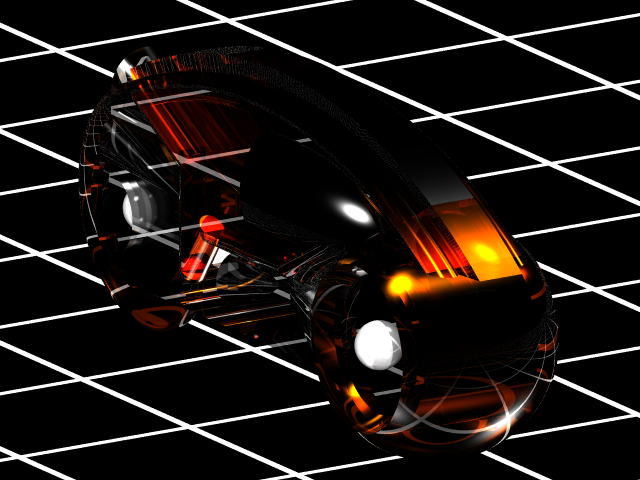 I'm in 100% agreement with the shape of the part you've called front wheel on your tron_ref page. We are talking about different parts. matthew180 Wrote:Anyway, let me know what you think. Will do. 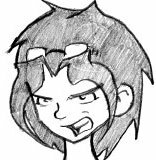 I disagree with some of your notes but it will take me some time to find the frames or render the images I need to show you why I disagree. Granted I may be the one that is wrong but I'll try to get my view of things on the table for you to think about. Great work by the way... I love these king of discussions. Quick post since I'm running out the door, I'll post more later. As for the front hub, yes, I agree I could have it wrong! It is also one of those parts that is very difficult to determine. I'll re-read that post. What did you and/or queball determine it may be? Yes, the lightcycles do hover slightly above the grid, I'll try to find some movie clips that support this. matthew180 Wrote:As for the front hub, yes, I agree I could have it wrong! It is also one of those parts that is very difficult to determine. I'll re-read that post. What did you and/or queball determine it may be? As that should spell out exactly how I'm currently making the front hub. matthew180 Wrote:Yes, the lightcycles do hover slightly above the grid, I'll try to find some movie clips that support this. I don't think they do but I'm curious to see what you have that may prove me wrong. What you may be looking at is the jet wall that extends under the rear tire. It has width and is nearly as wide as the rear tire itself. This white part of the jet wall sticks out to the side just where the rear tire contacts the game grid. I don't actually think there is a gap between the rear tire and the game grid itself. You can see a shadow on the top of the rear tire created by the over hang of the jet wall. Its this width that you also see where the rear tire touches the game grid. I'll sure try... In fact some of your notes I may be able to use to reduce the number of primitives in my model as well. 1. Canopy Shoulder. The shoulder is tricky because it appears to change depending on the angle of the lightcycle, the lighting, etc.. At times the shoulder appears to be flat and perpendicular to the canopy (look closely at the second image's shoulder geometry), and only rounding at the very edge. Other images show it as rounded. The geometry used to make this part of the lightcycle is a torus, and in the first image it can also be seen that the placement of the shoulder torus is such that it does not intersect the canopy at zero degrees to the torus's profile circle. Rather the torus is set out from the canopy slightly and creates a more rounded look. 2. While hard to see, shows the shoulder torus is rounded and that it is set out from the canopy slightly instead of intersecting the torus perfectly in the middle. First question... does anyone here have a good high resolution scan of Matthew's second image? I've seen one before but can't find it now. Also what is that image from? Is it the Art of TRON book? I really really need to pick that book up one of these days. Now upon first reading of these 2 notes I really wanted to disagree with them as something about that "look" seems unfinished to me. I thought maybe you were seeing some curvarure where there wasn't due to the interplay of shadow and perspective. However after close inspection of this image I see what you are talking about. By the way... looking at this last little animation I spotted something else. Look at the shadow the torus (canopy shoulder) casts on the front wheel. Now look at the shadow the canopy itself casts on the front wheel. There is what appears to be the shadow of a line between them. If its a rendering error its in several frames as this little animation shows. If its not a rendering error what is this line? If I look close I think I can seem this same line on the left side of the light cycle in the first screen capture just above. It also appears to be on the right side of the light cycle in the third screen capture just above. If it's a rendering error it appears to be a persisant one. Some images look as if the wings are higher up and may actually touch the shoulder torus. This shows that they are in fact set lower and intersect the side of the canopy and not the shoulder. I agree the part you are calling a wing shouldn't contact the exposed part of the torus however I'm not sure how your image shows that to be the case. For it to be clear from that perspective the side of the canopy and the torus would have to be different colors as I used here for example. Note the small blue strip between the "wing" and the yellow torus. Also note that the wings are made from two ellipses, and not a single ellipse crossing both sides. This is proven by the fact that the cross-section of the wing is a circle, as can be seen in the rear view (see #8.) Also, the "Beyond TRON" lightcycle clip on the Anniversary DVD shows the wing being created using an ellipse for one side. Here I disagree. I think that one ellipsoid you see on the Anniversary DVD created BOTH "wings". Can you prove the cross-section is a perfect circle? And ellipse seems to fit quite nicely. Keep in mind the plane of this cut isn't verticle and there is perspective present in this image. Even if this were a perfect circle or even an ellipse for that mater it would get distored a little by that perspective. That said I can't prove that it isn't a circle either. But one ellipsoid renders faster then two and in my opinion I think the shape of one looks more accurate. Seeing how rendering times were a big issue back then it makes more sense to me that they'd have used just one if they could have. I'll pick back up with note #4 when I return. I'll drop my hub and see what the renders look like. Now, what about the rear wheel? The ellipse used to make the wing on the DVD sure looked like it only went half way through, but your argument about keeping primitive count down is a good one. I suppose that lightcycle could have been work in progress as well. I wonder is anyone on this board knows the guys who actually built the lightcycle model at MAGI?? Anyone? I do see that line shaped shadow you are talking about, and I cannot tell what it is either. I'm firing up my DVD now to single-frame through the lightcycle scenes. :-) Also in your animated images, look at the area just under the wings where engine cone is... The white outlines look totally wrong. I can't find the image where I saw the lightcycle slightly above the game grid, but I'll keep looking. Interesting notes about the jet wall though, it does seem to be almost at wide as the tire and cast a shadow on it. The last time I watched the lightcycle sequences I also noticed that the wings are actually transparent like the windshield! The actors look through them and the torus shoulder passes just above the actors head on both sides.